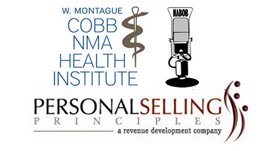 To address the aforementioned “health disparities”, in July of 2011 an “alliance” was formed between the NABOB Telecommunications Education and Management Foundation, Inc. (“NABOB Foundation”), the COBB/ NMA Health Institute (“COBB Foundation”) and Personal Selling Principles, LLC. (“PSP1”). The “Alliance” is known as the B2B Health Equity Alliance. A primary goal of the “Alliance” is to pursue grants that will fund the development of the Broadcast to Broadband (“B2B”) health communications models, which will provide medically underserved communities the access (it needs) to compelling and highly interactive health information. For more information, contact PSP 1, LLC at 301-595-1871.